The Phantom Cruiser, moving along the inner worlds of civilized space, encounter a floating city ship on a collision course with the sun. 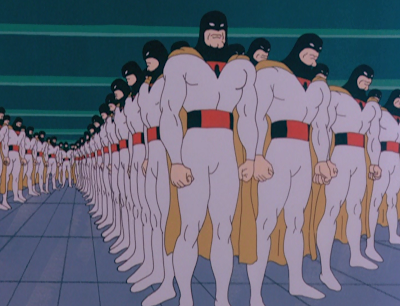 The ship’s denizens have forgotten that they are on a ship, and are ruled by a malfunctioning computer that believes the new visitors are “demons.” Space Ghost and his friends must activate the city’s engines and avoid total catastrophe. “City in Space” -- if you couldn’t tell from the synopsis above -- is a total knock-off of The Starlost (1973). That series involved a city ship too, Earthship Ark. It too was on a collision course with a star, and its denizens, except for the protagonists, had lost all knowledge of their ship. The mission of the main characters was to find the engine room, activate the engines, and avert disaster. 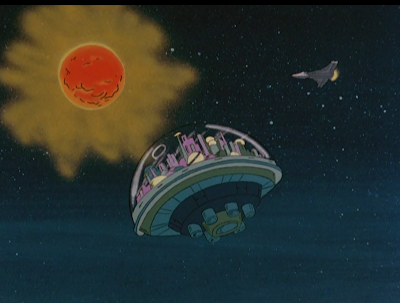 The domed metropolis in "City in Space" even looks like one of the dome habitats from Earthship Ark. The Teen Force story this week is called “Prison Planet” and it more in common with Star Wars (1977). The evil warlord Uglar has captured the beautiful Princess Chrysa aboard his spaceship, and the Teen Force must come to the rescue. The heroes make a mistake, however, and believe she is being held on a “heavy gravity” prison planet. They must engineer their escape from the wardens, who resemble dwarf scarecrows, and rescue the princess in time. Intriguingly, there are walking tanks in this episode that resemble Imperial AT-ATs, and one must wonder why Uglar interferes with his own scheme when it seems to work so perfectly. The Teen Force is decoyed to the inescapable prison and locked in a cell. Why not just leave it there? Instead, defying sense, Uglar has to get involved. In The Herculoids story this week, “The Snake Riders,” the Herculoids must contend with other beings from Quasar. The Snake Riders live on the other side of the planet, but are separated by an ocean. 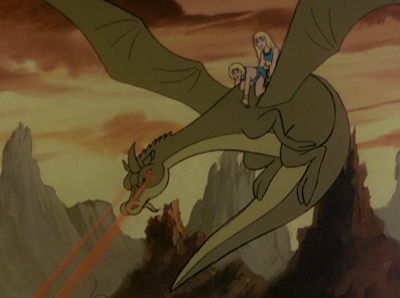 Now, however, they have found an underground cavern and tunnel system, and use it to attack the Herculoids’ valley. Meanwhile in the second Space Ghost segment, “The Toymaker,” Space Ghost sees his camping trip with Jan, Jace and Blip interrupted by robots created by his nemesis. The Toymaker wishes to steal Space Ghost’s power band and create an army of robot Space Ghosts to do his bidding. 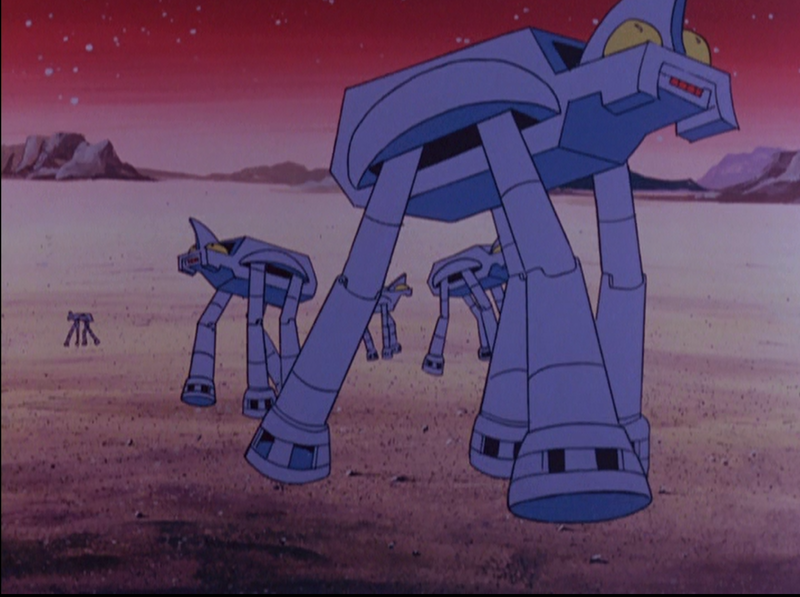 “The Education of Puglor” is the Astro and the Space Mutts selection of the week. 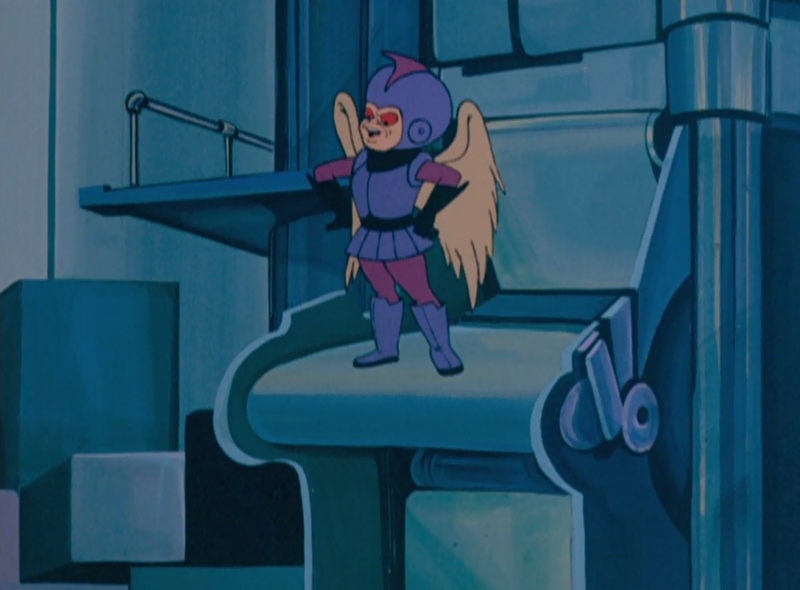 Puglar is Uglar’s nephew, and he visits a planet called “Space Springs,” which he attempts to take over. This episode has the audacity to recycle a Don Adams “would you believe?” joke. 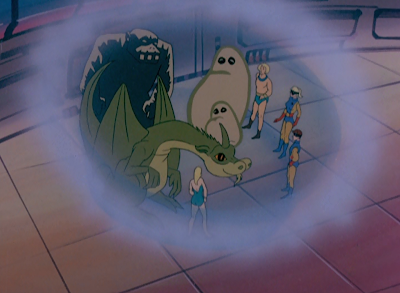 The Space Stars finale, “Worlds in Collision,” sees a team up between Space Ghost and the Herculoids. The evil Uglar has set Quasar and the Ghost planet on a collision course. Both planets will be destroyed unless his plan can be foiled. Again, science is a stumbling block. Two planets are yanked out of their orbits and sent hurtling into the void of space to collide, but certainly the very act of leaving their original orbits would be destructive enough to assure Uglar’s victory. In “Space Magic” this week, Space Ace demonstrates to Astro how to make his finger look like an alien inside a box (hint: cut a hole in the bottom of the box and insert your decorated digit…). Space Mystery features the Herculoids and it shows how Doro knows not to trust an alien stranger that arrives on Quasar. 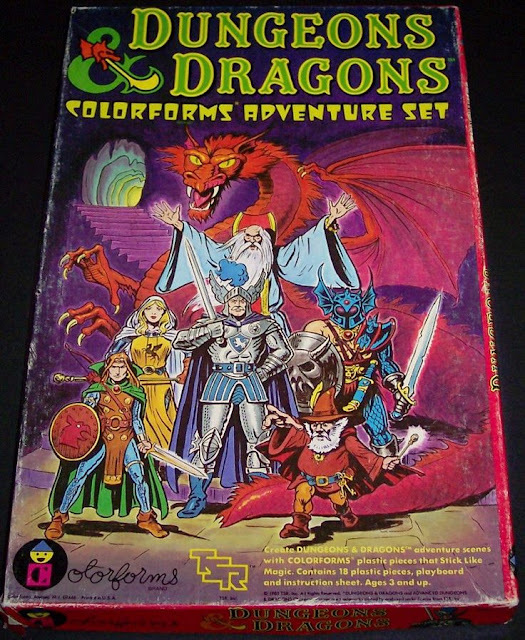 “Space Fact” also features the Herculoids and explains why stars shine. The Space Code of the week spells out Uglar’s name. “Adventures as big as the cosmos?” Not exactly.